WHAT!!!!!!!!!!!!!!!! The computer generation was AMAZING!!!!!!!!!!!!!!!!!! I LOVE THE MOVIE!!!!!!!!! Okay, doesn't make it a good movie just because it had good generation. 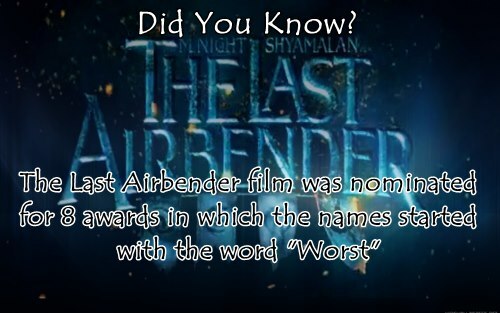 It was an insult to the Avatar series.